The One Nation Under a Groove tour will be Clinton's last as a group member. He's been fronting some incarnation of Parliament/Funkadelic/George Clinton solo for the last 50 years, but the 77-year-old bandleader is ready to hand over the reins. "Just about three years ago I thought it," Clinton says. "When I put out the first Funkadelic album in 30 years [First Ya Gotta Shake the Gate, 2014], then I did the first Parliament album in 38 years [Medicaid Fraud Dogg, 2018]. So I was getting ready for it when I put the book out [2014's Brothas Be, Yo Like George, Ain't That Funkin' Kinda Hard On You?]. I'd been planning it with the band. They're ready, I'm ready." P-Funk has always been a group effort - Clinton's worked in tandem with legends like Bootsy Collins, Bernie Worrell and Eddie Hazel over the years - but it's strange to contemplate the band continuing without its architect. "Now I've got all of these grandkids in the band," Clinton says. "My son and daughter in the band still got the energy to play. So I feel like they're in safe hands and I'm going to still be recording them. They're not going to stop." It's hard not to slip into hagiography when speaking about George Clinton. Active since the late - '50s, he's not just behind an entire genre but a subculture and movement. Whether it's been with Funkadelic, Parliament or George Clinton solo, his career's been a masterclass in vitality and constant evolution. "I knew that even in the '70s or the last part of the '60s, I knew it had to be a new genre, a new thing because we weren't just a band and we weren't just singers," he says. "It was a place, it was a movement. For a long time I've realised that it was more than a band, because we're always adding people to it. When Bootsy came, we had to bring his whole band to become part of P-Funk. So it just kept growing. "It's not just a group. There's a bunch of groups all part of it. That's still the way it is now with all the different styles of music that the band members play. The only way you can get away with that is in Parliament-Funkadelic." The distinction between Parliament and Funkadelic was initially quite plain. Funkadelic's early LPs were rock-focused forays into psychedelic blues - 1971's Maggot Brain is one of the great classic rock records - while Parliament boasted a slick, brassy and bass-heavy funk sound, exemplified by 1975's Mothership Connection. "Funkadelic would have a lot of guitar, rock'n'roll guitar. Funkadelic's sound would be dominated by rock'n'roll style and the craziness of a certain type of concepts and things that we would do, most of that is reserved for Funkadelic," Clinton says. "Parliament is basically singing, production, horns - lots of horns - and a lot of smooth production. Really artsy and really normal type of production, but really slick, whereas with Funkadelic anything will go." Clinton's had an enormous impact on multiple generations of musicians. Along with Sly Stone and James Brown he's credited with expanding funk music into a radical artform. Hip-hop owes a lot of debt to his output, likewise post punk, disco, Afrofuturism and all sorts of experimental art. "That was my intention. I was a songwriter and the thing with songwriting and publishing, you try to write songs for every style of music that's around. So you learn to try to influence all kinds of styles of music and participate in all the different genres. "My intention was to be like a Motown, Phil Spector or The Beatles who had four, five different styles that they played because of their songwriting. I knew that we had an impact on other artists and I tried to make myself available to whatever new style was coming around." 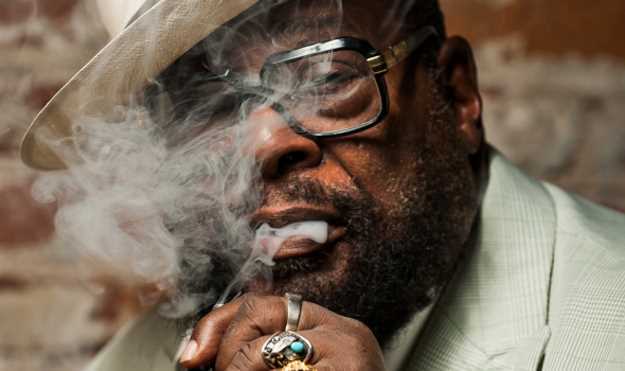 George Clinton will perform for the final time with Parliament-Funkadelic on their Bluesfest tour. They'll play two sets at Bluesfest on Sunday April 21 and Monday April 22. They'll also come to The Forum on Thursday April 25. Tickets via respective festival and venue websites.